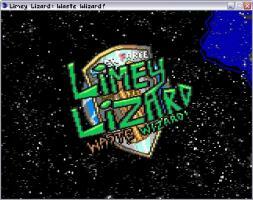 Adventure Game Studio | Games | Limey Lizard: Waste Wizard! Download Limey Lizard: Waste Wizard! In deep space, one waste-processing employee stands above the rest: Limey Lizard, an incredibly lazy but lovable bloke who always seems to find himself in trouble. In episode 72, this is no exception, and if he doesn't fix the waste disposers the ship'll be flooded with filth, so get out your spanner and your chemically-resistant overalls -- it's gonna be a mucky ride! NOTE: The main link is a self-extracting installer. If this does not appeal to you, the mirror has the game in a convenient RAR package. I've included a rundown of the controls below for people who don't read readmes: 1. F1 will bring up the options menu, where you can adjust music volume, sound volume, game difficulty, and turn speech on and off. 2. Left click your mouse to walk or on an item to interact with it. Left clicking on an inventory item will pick it up. 3. Right click your mouse to examine things, including your inventory. Right clicking on an inventory item when you have one picked up will try to use the items together. 4. Space allows you to talk to things that can talk. 5. The arrows on the right of the gui are for moving through your inventory. 6. The button on the upper right of the gui is to quit the game; CTRL-Q works the same way. 7. The S and L buttons on the gui are for saving and loading. Pennis: The Ultimate in Pong! "Superb production values are the obvious highlight, but engaging characters, an excellent script, and clever puzzles combine to form a hugely enjoyable game. Challenging at times, but not unfairly so, though also slightly unforgiving in places. Highly recommended!" Enjoyed the characters voices ,i noticed that the right audio in a game can make a huge difference to ones enjoyment of a game. This game has memorable characters ,thanks to the time the author obviously spent on making the audio as good as it can be. To take some cricitism of ones work in a mature way does wonders for learning how to grow UP. Fun game, I played it a long time ago and still remember it quite well, which must prove something! I thought the puzzle begining was too frustrating (it wasn't necesarily illogical, but it had too many steps that weren't made clear) and labrynith at the end was too tedious (although I did apreciate that you notified the player when you finished it). I thought the game's humor was endearing and I would hope to see a sequel, but I'd hesitate to recomend this game to a friend. Great game, wish it was longer though. I hope a full version is in the making. I loved the game and it's humor, but hated the single save slot. This screwed me up once and I had to restart the game. Overall, it ended too soon. I think that there could be a bright future for Limey Lizard. Limey Lizard is a really stupidly clever game, the puzzles might trouble you at first, but you have to think as a true waste wizard would. Then you'll have the time of your life. The graphics are superbly drawn and animated,congrats overall, one of my favorite ags games of all time. Slightly more difficult then most AGS games, but now and then a bit of a challenge never hurt nobody. Good voice acting, nice unique graphic style and a funny story. Recommended! Overall it was a good adventure but the minigame and the pipes section are a bit boring and do not help to improve the game. The story is great and the main character is fun and has a lot of charisma. Some of what jkohen said is just blatantly false, and I see no reason for people to read it and think it's true. You are entitled to your opinion, but don't try to pass off things like 'confusing actions and manipulations' and 'all the puzzles have been seen before' and 'you have to visit some rooms before others or you lose' as facts. You cannot 'lose' the game without knowing it immediately, for one thing. Many people have told me how streamlined and easy to use the interface is, though I concede that I need to come up with an alternative to the space bar for talking. Fact of the matter is, the interface is different, and clearly different than what you are used to. THAT DOES NOT MAKE IT WRONG. The readme with the game explains all the controls for you, and I've even laid them out plain as day both here and on the completed games page. What I see here largely amounts to bitter whining on your part to try and offset the positive reception the game has gotten rather than anything legitimate (like the pitch shifted voices, for instance. A lot of people have told me how much they enjoyed the voices exactly as they are). If you have some legitimate criticism do let me know. Otherwise, I think your expectations are way too high for a game you paid absolutely nothing for. I have mixed feelings about this game. It has some very high production values, but the downsides were far too numerous and ended up turning me off. * Great animations and graphics, although very low resolution... it looks tiny at 1x magnification on my screen and awfully blocky otherwise. * A cool environment. I like futuristic worlds; they let people imaginations out. * Very confusing actions and manipulations in the first half of the game. See the hints forum, half the people stuck at the same place, and half the people not being able to explain how to get through. Then trivial "puzzles" in the second half. Moreover, all puzzles have been seen before. * Full voice overs. While the acting was good, some accents became annoying easily, especially with the pitch shift effect. This effect should not be used. * A labyrinth. And the character moves too slow. And the developers tease you with a map that doesn't work. And you have to visit some rooms before others, or you lose. And you are greeted with a mini game. * An unoriginal, boring whack-a-rat mini game that has nothing to do with the plot or the background of the characters (unlike Sam & Max: Hit the Road), doesn't help move the plot further, and doesn't motivate the user to play or to win. Except to get out of the game^H^H^H^Hlabyrinth. * You can die. In many ways. I think you can get stuck, too, but I was careful not to, and I didn't want to go back and try, since you only get one save slot. * Only one save slot, yeah. Use it often, because you'll be dying a lot, but not too often that you'll get stuck with no way back. * No characters you can interact with... all the NPCs talk to you in non-interactive sequences. * At some point you can control a second character, but it's almost useless (unless watching him die is your thing). Short, funny, and devious. This game features some great music and voice acting, a few puzzles that left me scratching my head, and a thousand and one ways to kill yourself and everyone around you. Very good stuff and, I hope, just the first chapter of many to come. Retro gaming in every good meaning of the phrase! Excellent game! Great voice acting! The graphics make me wish it were the 90's again! There are a couple of tricky inventory manipulations that I wouldn't have figured out without hints (clicking something on itself, for example), but they're minor, minor things. Seriously, brilliant stuff, one of the best games to come out of AGS. Lucky, see if you can reach that antenna! A gem, short and polished, marvellous voice acting and top notch retro graphics.